Gentle, kind Mugsy joined us from Carson shelter during the NKLA Super Adoption weekend. Shetler staff sent him off with his favorite hippo toy, which he dotes on and keeps safe at his foster home. In love yet? Mugsy’s foster parents describe him as an all around good boy--he’s a chill, smushy guy who enjoys his crate. 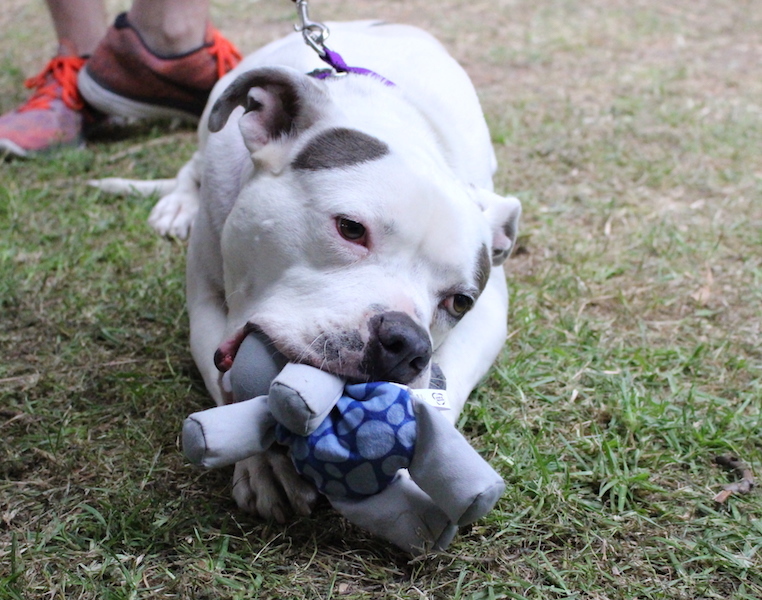 Every volunteer who’s met him has fallen hard for this awesome dog. 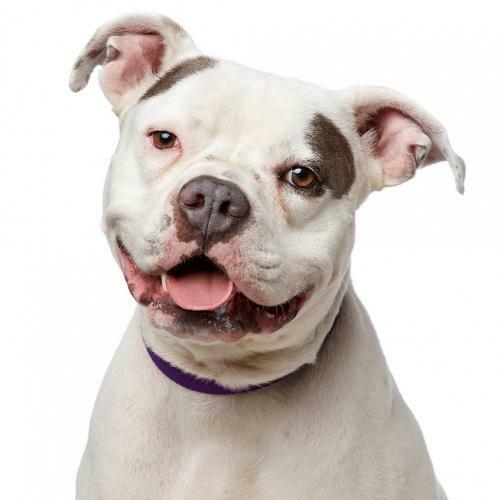 Mugsy participated in playgroups at the shelter and we think he would be happy in a home with or without other dogs. 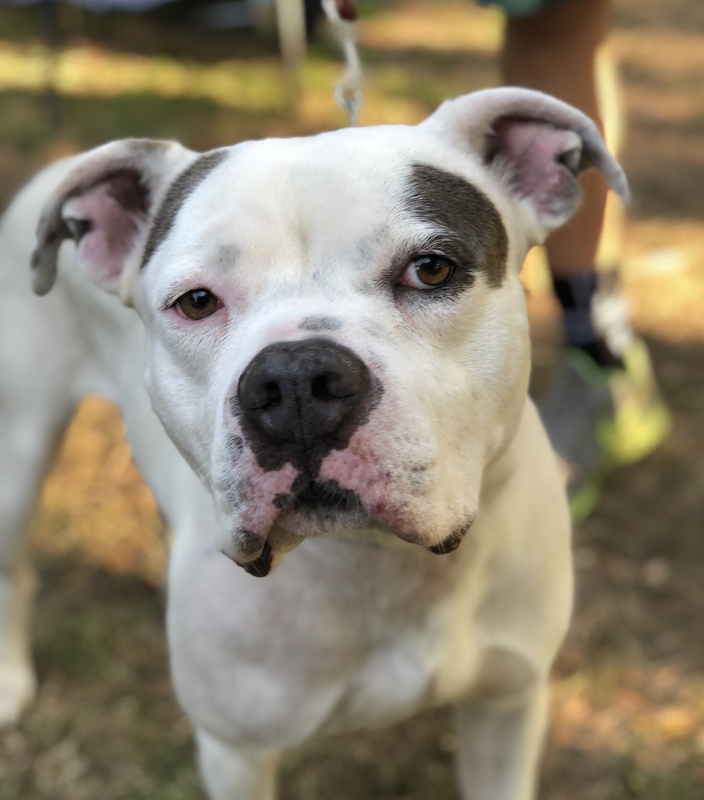 About 3 years old and 70 pounds, Mugsy is crate-trained, house-trained, micro-chipped, up to date on routine vaccinations and working on his basic commands.